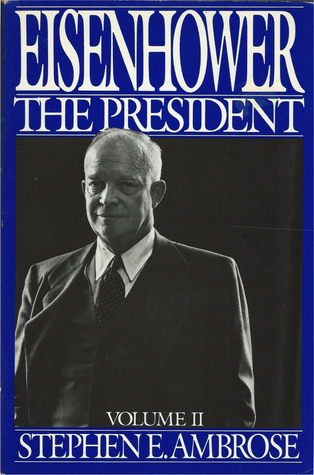 Published in 1984, “Eisenhower: The President” is the concluding volume in Stephen Ambrose’s series on the thirty-fourth president. Ambrose was a historian, the author of more than two-dozen books and remains one of the best-known biographers of Dwight Eisenhower and Richard Nixon. 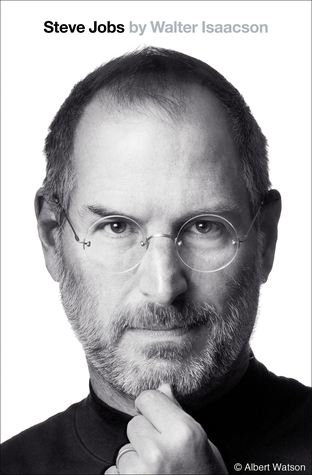 However, numerous and often convincing allegations of plagiarism and exaggeration have significantly diminished his reputation in recent years. Ambrose died in 2002 at the age of sixty-six. This second volume in Ambrose’s series proves both lengthy and detailed with 675 pages of text. Picking up where the previous volume ends (with Eisenhower as President-elect) this volume covers his two-term presidency exhaustively. The last sixty or so pages are reserved for consideration of his legacy and a discussion of his post-presidency. Fortunately, this book does offer several high points. For readers interested in Eisenhower’s day-to-day life, Ambrose offers a revealing review of his daily routine (including how Eisenhower’s valet assisted him in getting dressed each morning). The discussion of his Cabinet picks is interesting and Ambrose offers the best review of the CIA’s efforts to remove Fidel Castro from power that I have read thus far. The chapter assessing Eisenhower’s presidency and his legacy is excellent: it is objective, thoughtful and intellectually compelling. And the three concluding chapters, which cover Eisenhower’s post-presidency with an emphasis on his interactions with Presidents Kennedy and Johnson, are also comparatively absorbing. But Ambrose may be at at his best (and most thoughtful) when he is critical of Eisenhower. Despite a strong underlying admiration for his subject, Ambrose is unabashedly critical of Eisenhower for his failure to more forcefully advance civil rights, for his tepid opposition to McCarthyism and his failure to more aggressively support Republican presidential candidates, beginning with Nixon in 1960. Overall, Stephen Ambrose’s “Eisenhower: The President” proves a potentially valuable reference on the Eisenhower presidency as well as the final years of his life. It is, however, a generally dry and laborious read which proves “all business” with “little pleasure.” Many readers will quickly question their commitment to completing the series and wonder whether Ambrose’s single-volume abridgement (or another author’s comprehensive biography of Eisenhower) might have been a better choice. Wow. Having read two vols of Ambrose, you’re NOW reading the one volume? No one can say you’re not thorough (not sane perhaps 🙂 ). Are you moving on to JFK now or more Ike? I like how you noticed that Ambrose wasn’t afraid to be critical of Ike. You keep hearing how much he admired him, and the implication is he can’t be objective. This seems like proof that the only people who make these charges haven’t actually read Ambrose. Not Surprising. I am really looking forward to your review of his Nixon trilogy. It was the first serious history I read. I felt a special connection to Ambrose because of that and also because he became sick and passed from cancer at the same time as my Mom. I had the chance to meet his son Hugh and tell him about the Nixon book before he subsequently passed. Thank you for such an interesting study. Best wishes! !